The role of the House of Lords has historically been to give the green light to things which the House of Commons want to make law. The House of Lords also has a second function in which it sits as the highest appeal court in the land – although the European Court of Appeal has changed its status slightly. However, the role of the House of Lords has been under debate for a while and when Tony Blair was Prime Minister, reform of the House of Lords was something he was especially keen to see carried out. He never got his wish but his moves towards reform has meant that the role of the House of Lords is still up for discussion. The second major role of the House of Lords is in law. A group of Lords are known as law Lords. They sit as the supreme court of appeal – the highest court of law in the country. Theoretically, anyone who believes they have been the victim of a miscarriage of justice can take their appeal to the Law lords although because the seriousness of cases only a handful of cases which pass through the UK’s courts each year end up with the Law Lords. The third function of the House of Lords is to sit on select committees. These select committees encompass a wide range of functions and subjects. The Lords then debate the rights and wrongs of whatever the subject is and make a pronouncement on it. The Lord in charge of a select committee or an investigation into Government affairs will often have a report named after them which becomes part of the vernacular of the time. One notable example is the Hutton Enquiry – the report which was released following the death of Dr Kelly and the alleged ‘sexing up’ of a Government dossier. These are the kinds of things which the lords investigate and make pronouncements on. 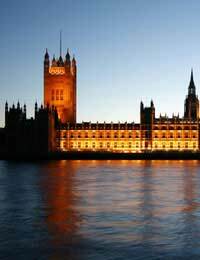 The Lords are not directly elected as MPs are. They are chosen in a variety of ways – it used to be that their posts were hereditary and were passed down from father to son and so on. This has largely been outlawed to make the system fairer. Peerages, as they can be referred to, can be awarded by outgoing Prime Ministers and in the Queens’ honours.